Two cabinet cards, each measuring approx. 4.25 x 6.5 inches. Photographer is Thayer of Tonica, Illinois. Otherwise undated and unidentified. Okay, I don’t actually know that this is a couple. 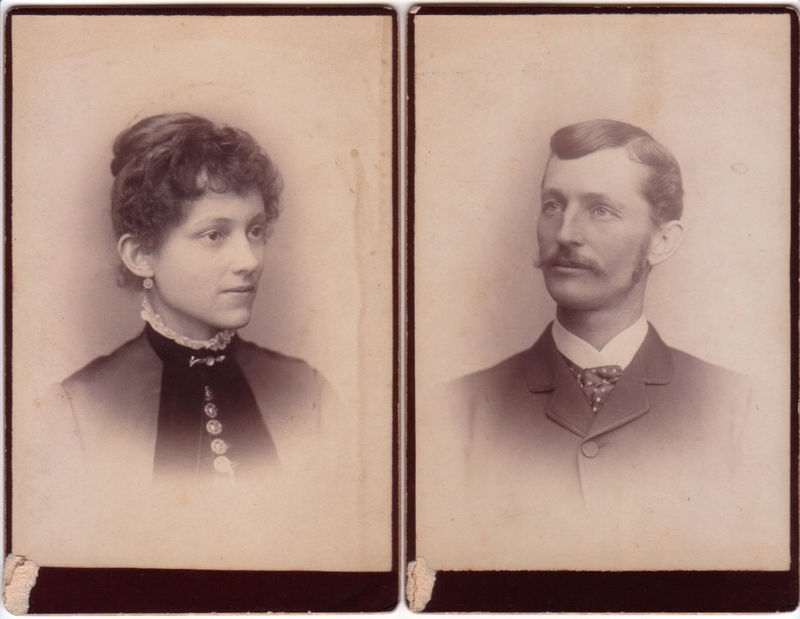 Just because they are matching cabinet cards from the same photographer doesn’t guarantee anything. They could be some other sort of relation, or even total strangers. But the matching, mysterious damage to the lower left of each card seems to be a clue that they belong together. And frankly they just look like a couple, these attractive young people with similarly wistful gazes. His eyes appear to be a blue or green and must have been breathtaking in person.